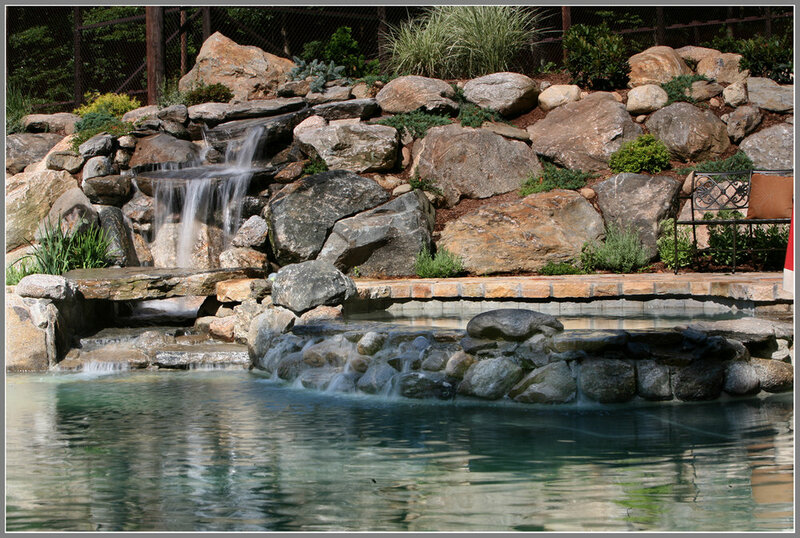 The majority of our walls and steps are constructed with natural stones of all kinds for its attractiveness and durability. Paver wall deteriorate through time while the weathered appearance of the stone actually enhances its beauty. 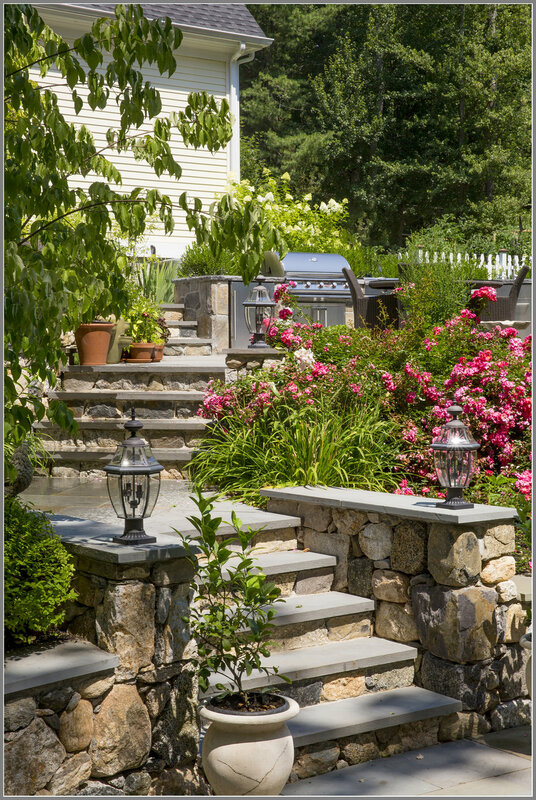 The stone wall and steps do cost a little more initially but will be cheaper for the long run. 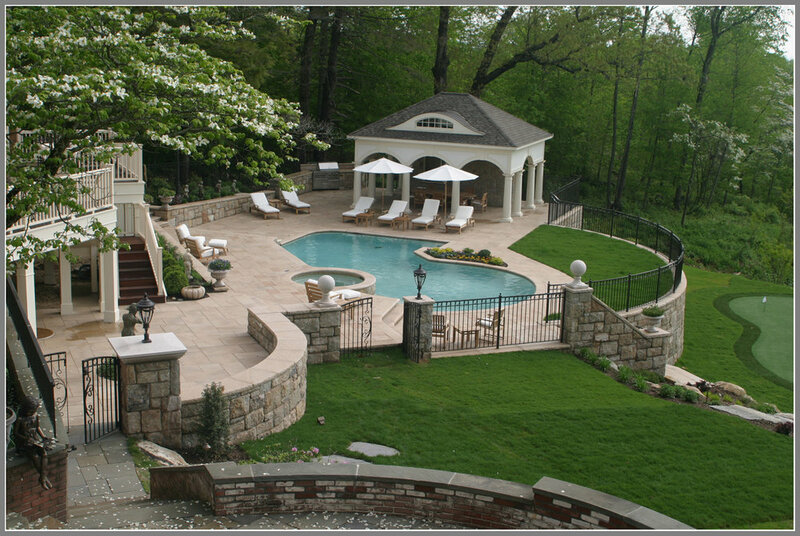 We can custom fabricate the stone to build complicated configuration such as curved step and coping with affordable budget. Any contractor can do the paver wall and steps. We will do them if limited budget needs to be met. Actually, it is easier to make money from the paver wall and steps than the fancy stone works. The rewards of the time consuming stone works are satisfaction and pride. Stone Type: Field Stone, Tower Hill Granite, Crystal Lake Granite, Noble Hill Granite, Goshen Stone, Liberty granite, Chinese Granite, sandstone, limestone, travertine, Bluestone and more.